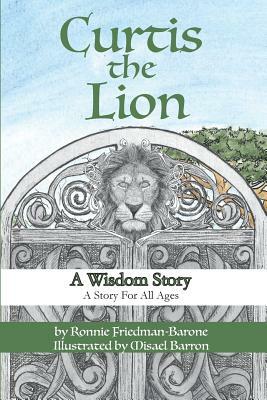 Having been marked from birth to be one of a handful of beings whose life exemplifies the struggle between good and evil, Curtis the Lion takes the reader on a mystical journey through God's World. Relying on his ability and willingness to hear the Voices of Wisdom, he turns away from his family (Luke 14: 26, 27), to await the teaching of the Angels and the meaning of the Voices. Reminiscent of the Book of Isaiah, the world turns to war; all that was alive and hopeful dissolves into desolation and dust, and the Forces of Evil attempt to reel Curtis into their cause. Painfully tempted by their offers of eternal power, not just over this world, but over the universe, he struggles to maintain his allegiance to the Lord, finally choosing Wisdom and Peace.